Crosses Measure 18mm (11/16") long and 13mm (1/2") wide not including ear wires. Approximate gram weight is 1.54 grams for the pair. 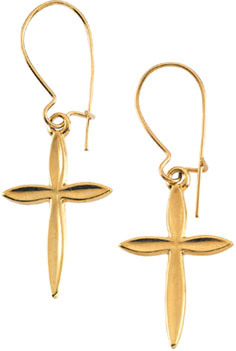 We guarantee our 14K Yellow Gold Cross Earrings to be high quality, authentic jewelry, as described above.